This badge was issued to Vidya Manuri on 11 Aug 2018. 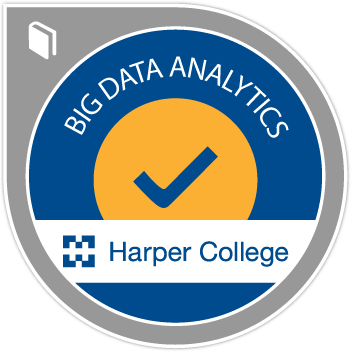 Big Data Analytics badge earners understand predictive models that create business value from Big Data solutions. Participants recognize the technology (databases, query languages, architectures) and statistical techniques of Big Data Analytics. Badge earners have completed a hands-on Big Data Analysis project.